When it comes to matching you with your perfect home, in the right community, homework is the key. Lisa Zais, Realtor, is a diligent and conscientious agent who understands how momentous home buying can be. She finds and shows properties where house hunters picture celebrating holidays, enjoying family milestones and going about everyday living. Lisa’s local knowledge is on the ground, across the region’s communities—Framingham, Holliston, Ashland, Hopkinton, Sherborn, Walpole, Medway, Natick and surrounding towns. Also, Lisa’s own hometown—the Allston/Brighton area of Boston—where she is altogether familiar with established neighborhoods and new developments. She represents clients for both residential and commercial sales and leases, and is clued-in on schools, amenities and commuting patterns. Clients notice such attentiveness. “Lisa took the time to show us countless homes and was a sounding board as we sorted through the pros and cons of each property,” husband-and-wife buyers in MetroWest attest. They found their perfect home. Lisa and her family are longtime residents of Holliston. Her tireless and creative commitment to her community is reflected town-wide. 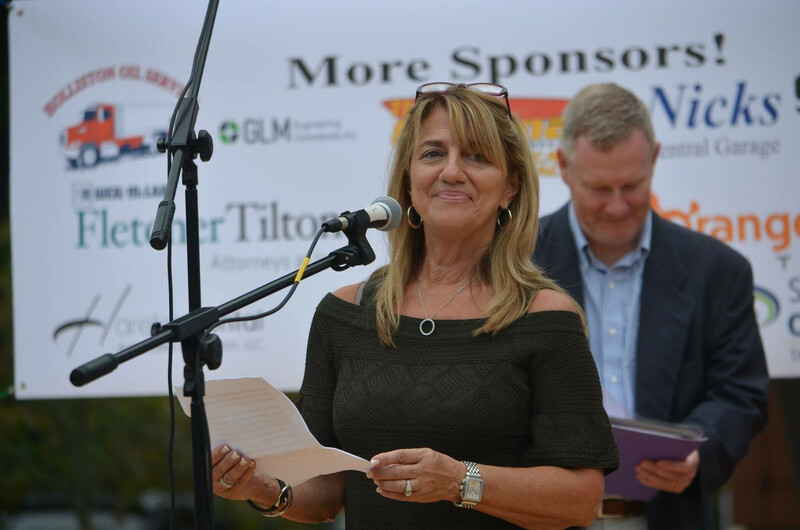 In 2017 she was honored as Citizen of the Year at the annual Celebrate Holliston festivities held each September. Last October, on the recommendation from a friend, I called Lisa Zais because I wanted to sell my parents house that they had lived in for over 50 years. We had just moved them to an assisted living facility near me in NH. Lisa came over soon after to see the house. She could see through all the dust and walls that needed fresh paint, and knew immediately that this was a well built house that had been well maintained. Now I had the task of cleaning out, stripping wallpaper and painting, and making small fixes to make the house look appealing to buyers. But at the same time, I had to help my parents with a difficult adjustment to a new place. I made weekly trips to the house to get it ready, and Lisa was there every step of the way, even rolling up her sleeves to help strip wallpaper, clean and paint. When I was close to finishing, my dad had a fall and an injury, and I had to stop so that I could be here and help take care of him. Once again, Lisa stepped up, found me some contractors who could help finish and touch up my painting, and then she went in and cleaned the house from top to bottom. The house went on the market on a Saturday. Lisa had an open house, and over 50 people came through. Sunday there were 3 offers. At the beginning when Lisa told me that the house would sell quickly, I thought it was just the sales person in her being optimistic. But clearly it was her knowledge and experience that recognized a great house in a desirable town. I would highly recommend Lisa Zais if you want to sell your house! Nancy M.
I recently sold my house in July 2018 and used Lisa Zais as my realtor. I found Lisa to be very professional and a pleasure to work with in selling my home. She did the little things that make this type of transaction as painless as possible. As I was out of state frequently during this time period, she would water my plants, meet with inspectors, retrieved my mail, have the driveway plowed, have the lawn mowed and kept an eye on the property until it sold (which was only a couple of months). The house was presented in a very positive manner and this produced multiple offers in a very short time getting me the price I wanted. I would sincerely recommend using Lisa as their realtor to anyone who is in market to BUY or SELL a house. Timothy R.